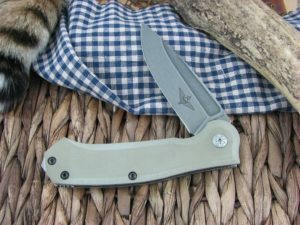 The Maserin Cutlery Police model is one of the nicest mid-tech knives I have handled. The thrust bearings leave the Police action smooth as butter, and I am no pro-flipper. 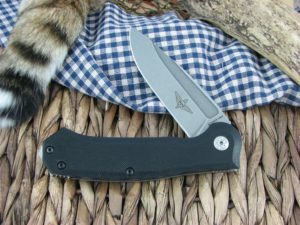 The Maserin Police is in line with the other over built knives that are popular right now with the titanium frame and stonewashed everything. 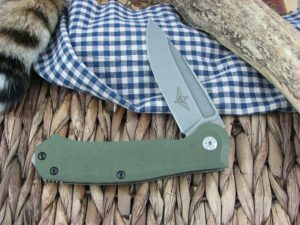 But this knife is amazingly functional; from the unobtrusive glassbreaker to the great grooved N690 blade that takes a razor edge and holds it. This is probably Maserin’s top offering, so if you want to see their modern line-up at its finest – try the Police model.